Horst is part of the ARF’s Research and Innovation team and focuses on advertising effectiveness research and the needs of the ARF's global members. He also leads the ARF's original “neuro” research projects. He joined the ARF as EVP of Global Business Strategy in 2011. Prior to that, Horst Stipp was senior vice president, Strategic Insights & Innovation in the Research department of NBCUniversal in New York, where he oversaw strategic marketing and consumer research for NBCU’s TV networks as well as the new digital platforms. 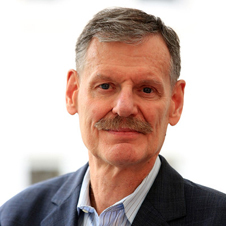 Horst received his Ph.D. in sociology from Columbia University and has been involved in media research for over 30 years. His publications, in English and German, cover a wide range of topics, from advertising effectiveness and branding to the development of the media in the digital age. He has presented on these topics at conferences in the U.S. and Europe. He also taught a seminar on media metrics at Columbia University’s Business School.